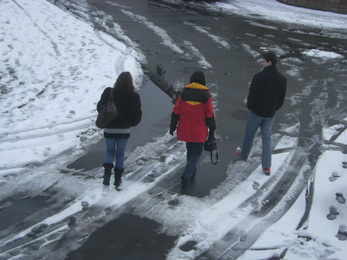 Icy Saturday morning - but where was the grit? SATURDAY morning saw motorists playing Russian roulette with their lives as ice and compacted snow led to dangerous driving conditions which closed hilly roads in Warminster. The poor situation was made worse by the complete failure of the highways department to salt these roads - presumably as they are running out of rock salt and must prioritise routes. “I made the short journey from Newport to Epping Close and back at 8.45am on Saturday and was really shocked by the ice-rink state of Portway and Portway Lane,” said Steve Dancey. “Most of those out and about were either dog-walkers or elderly people who would have been well-advised to stay indoors. 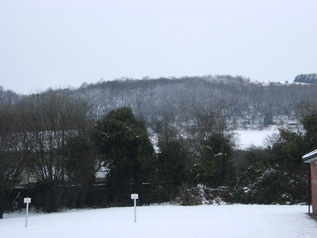 While Wiltshire does not have poor winters as a rule it is very badly hit in a severe winter because, believe it or not, it has the highest average height above sea level of any English county. Between 1978 and 1983 there were several periods of severe weather and deep snow. Between 1941 and 1947 there was a similar pattern of several severe winters and again back in Edwardian times. In the early 1980s army snow blowers were called in to clear roads past Heytesbury and in 1947 one snow drift was so deep between Warminster and Frome that a tunnel was dug through it. “My aunt, who was living in Sutton Veny in 1947 and still lives in Warminster, told me that it was impossible to get into Warminster for a whole month,” added Steve. “It means we must prepare for more periods of cold weather over the next five years just in case history repeats itself - and this means doubling the storage of rock salt. “Unfortunately I’m not so sure that the county has the space to store it all because so many highways depots have been sold off during the past 20 years to gain a capital receipt for the council. UPDATED: County Press release 'The extended spell of cold weather has depleted the county's salt supplies to such an extent that Wiltshire County Council will only be salting strategic routes tonight (Saturday). This is being done to preserve salt supplies to hopefully enable a more extensive salt run over Sunday/Monday morning. 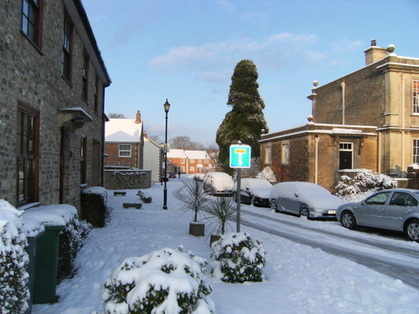 The county council will continue to plough and grit when necessary, however the advice for the public is not to travel unless absolutely necessary, and assume that roads have not been treated. Roads that are not part of the strategic routes (listed below) are extremely hazardous and additional care should be taken on these if you do have to use them. Devon County Council has offered 500 tons and Hampshire County Council has offered 100 tons of salt to Wiltshire to help ease the situation. The Highways Agency will be salting the A303 and A36 trunk roads.